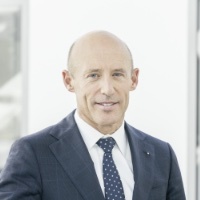 Dr. Patrik Gisel serves as the Chairman of the Executive Board at Raiffeisen Schweiz Genossenschaft and has been acting as Chief Executive Officer since October 2015. He has been Member of The Executive Board at Raiffeisen Schweiz Genossenschaft since 2000 and served as its Head of Market Department. Dr. Gisel gained management experience in positions such as department and group head in the IT division of UBS and as a consultant for banks and insurance companies at Boston Consulting Group in Zurich.